Only relationships count. They are fragile and deceptive threads, tempered by the years or the intensity of a meeting. They form a country which no geographical map can depict. We live in solitude in a geography made up of bonds and knots: affections, books, memories, passions, unions lasting a lifetime. Here only the action belongs to us, not its fruit. It is the path towards the origin: our center and our aim. Following this path can be the purpose of theatre which knows that it is pretending and does not pretend to know. KNOTS is a theatre festival connected to an International Exchange Meeting of theatre groups. The aim of KNOTS is to promote the culture of the theatre group and to establish knots/relations/bonds between theatre groups existing in different places of the world and under different socio-political circumstances. The main principle of KNOTS is the meeting through the work. The wish of the festival is to form a “family” of groups able to transcend its bonds in time, and find a continuation of work from festival to festival. The members of the groups build their bonds starting from the experience of working together. Intervene and let oneself be affected within the socio-political frame with the purpose to enrich the experience of each group and its cultural knowledge. 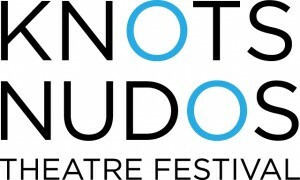 The International Theatre Festival KNOTS: Exchange Meeting Of Theatre Groups was founded in Berlin in 2011 by Marinaio Teatro as an itinerant theatre platform. In 2013, the Argentinian group In Teatro joined the organisation of the festival and hosted the second edition of the festival in San Pedro, Bs.As., Argentina. The third edition took place in La Paz, Bolivia in 2015, hosted by Teatro Grito. The fourth edition is to take place in São Paolo, Brazil in 2017, under the organisation of Impulso Coletivo.